WonderWoman - Work of artist Milton Knight; Over 20 years of paintings, comics, animation, illustration and general creativity. The Temptation of Harringay - Work of artist Milton Knight; Over 20 years of paintings, comics, animation, illustration and general creativity. 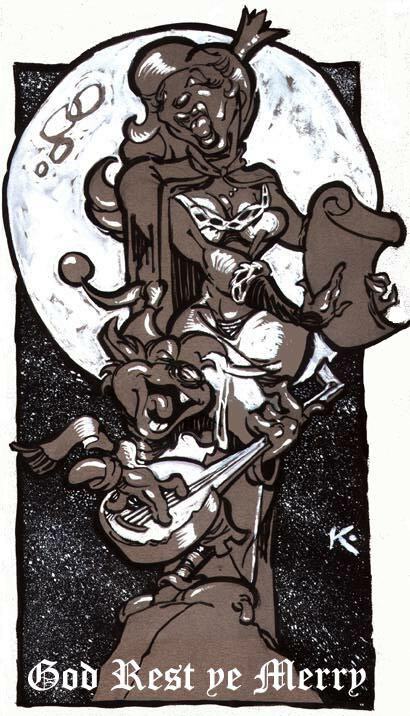 The Fool's Love Story - Work of artist Milton Knight; Over 20 years of paintings, comics, animation, illustration and general creativity. 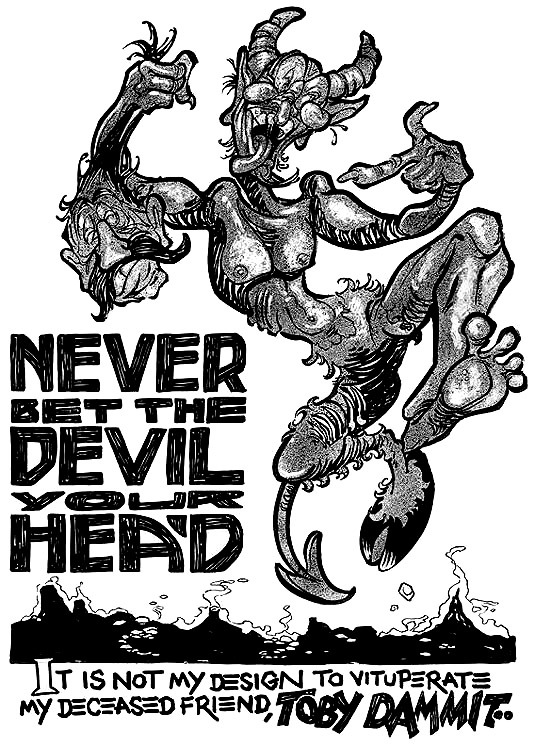 Never Bet the Devil Your Head - Work of artist Milton Knight; Over 20 years of paintings, comics, animation, illustration and general creativity. Illustration Power! 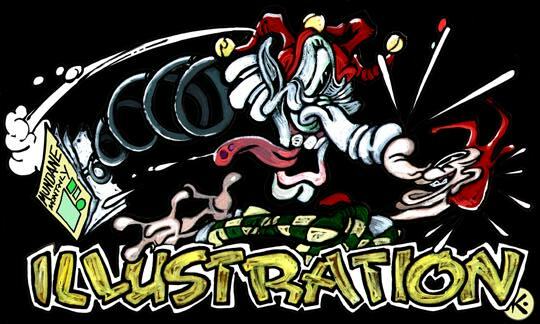 - Official website of artist Milton Knight; Showcasing and celebrating over 20 years of paintings, comics, animation, illustration and general creativity. 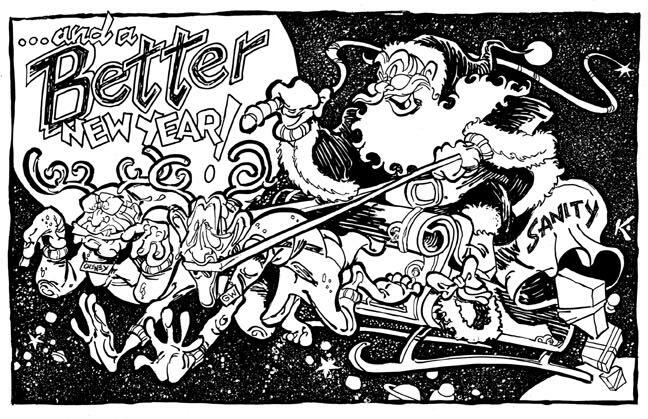 A Better New Year - Official website of artist Milton Knight; Showcasing and celebrating over 20 years of paintings, comics, animation, illustration and general creativity. Uncensored Animation - Videotape box illustration. 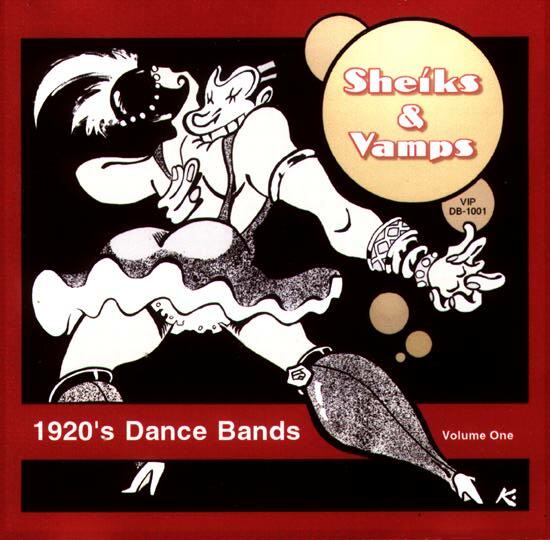 Shieks & Vamps - Cover art for Vintage Music CD. 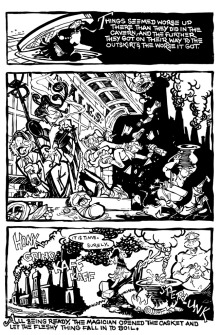 Work of artist Milton Knight; Over 20 years of paintings, comics, animation, illustration and general creativity. Shrew - Editorial Illustration. 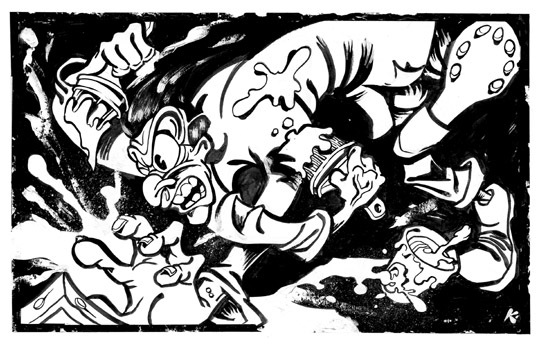 Work of artist Milton Knight; Over 20 years of paintings, comics, animation, illustration and general creativity. Viper Mad Blues - Cover art for vintage music CD. Work of artist Milton Knight; Over 20 years of paintings, comics, animation, illustration and general creativity. 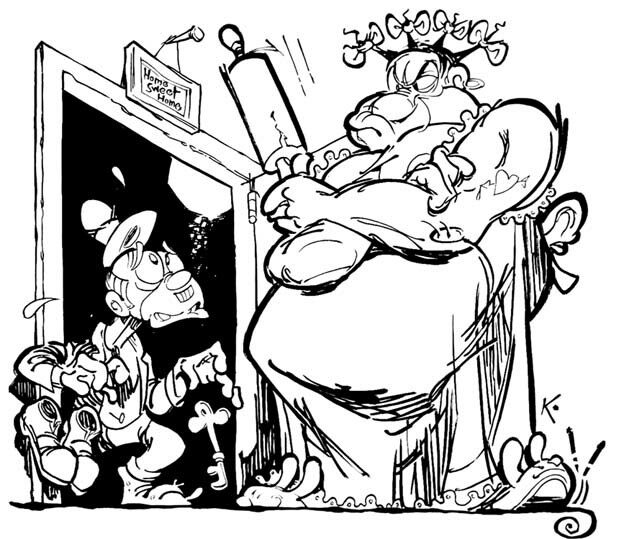 God Rest Ye Merry - Official website of artist Milton Knight; Showcasing and celebrating over 20 years of paintings, comics, animation, illustration and general creativity.